Before he went grey and started hanging out with Fern Britton on This Morning, Phillip Schofield was best known for hosting Children’s BBC from the legendary Broom Cupboard – otherwise known as the BBC1 continuity room, the place where the announcer sits when telling you what TV programme is on next. By sticking a camera in the room a mini studio was formed from which Phillip and the other Children’s BBC presenters that followed him could introduce the days kids TV shows. The first broadcast from the Broom Cupboard came on September 9th 1985, and was an immediate success. Not only was Mr. Schofield introducing the programmes he was also responsible for pressing all the buttons and twiddling all the sliders to start the programmes running as well as fading his own image and voice up onto our screens. The whole affair was perhaps a little rough around the edges, but this was part of its appeal and what kept us watching. In fact, one such mistake almost cost Schofield the job, when he mistakenly brought up the BBC1 globe instead of himself, then lost sound when he did return to the screen. He was apparently only saved the chop because the then Head of Presentation found it the most amusing thing he had ever seen. The fun continued by involving the watching kids too. Viewers could send in their pictures which were pinned to the back wall of the Broom Cupboard, and they could also request word sheets for the theme tunes for some of the popular cartoon shows, which Phil would sing along with live on air – The Mysterious Cities of Gold and Dogtanian and the Three Muskehounds spring to mind as good examples of this. Friction driven pull-back-and-go cars have always been a lot of fun, assuming of course you were trying to race them across a hard floor surface and not the livings room deep pile carpet that is. Pull the car back, let it go, and watch it crash straight into the bottom of the kitchen larder. Cool! Most of these cars tended to be fairly large in size, certainly bigger than your average Matchbox or Dinky car, until that is the Penny Racers came along. 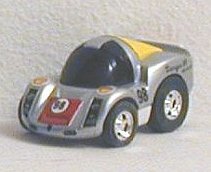 Originally created by Japanese toy company Takara, but released in the UK by Tonka, Penny Racers came out of the Japanese talent for miniaturisation, yielding a tiny little car barely an inch wide and not much longer. They’re tiny size and weight meant that they zipped around like greased lightning. However, the Penny Racer did just stop at being fast. On the back of each car there was a tiny slot that could comfortably take a one pence piece. Why was this useful? Well, it provided just enough weight and air resistance so that once the tiny vehicle got up to speed it would tip back into a wheelie and career around on just it’s back wheels. 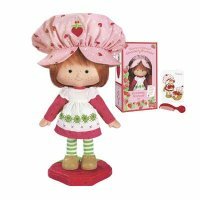 The toys were popular enough that they spawned at least four different videogames, the latest being released in 2002 for PlayStation2. The official Penny Racers brand doesn’t seem to be available any more, at least not in the UK, but fear not, for the good folks at Seven Again have come to the rescue with five Penny Racers for the modest sum of just Â£2.99! If you wanted to know anything about pop music during the 1980’s then the best place to start was with Smash Hits! magazine. For most of the 1980’s and early 1990’s it was the first choice magazine for many teenagers, at it’s peak selling half a million copies every bi-weekly issue. A record breaking issue in 1989, featuring Kylie Minogue and Jason Donovan, sold more than a million copies! The magazine covered whatever was hot in the world of pop, which could reasonably encompass anything that was lighting up the music charts at the time. It was slightly biased towards a female readership, being more likely to cover Rick Astley or some other Stock, Aitken and Waterman produced artist, which was fair enough since that was the music that was selling in the largest quantities at the time. Inside it’s pages you would find a mix of interviews with different bands and singers, reviews of new albums and singles, competitions and most importantly the lyrics to the current hot songs. The latter is probably the reason why the magazine was so popular, as it allowed you to sing along with Top of the Pops and the radio. 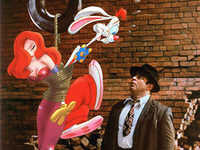 Released in 1988, Who Framed Roger Rabbit was an immediate box office success due to it’s appeal to all ages. Kids loved it for featuring all their favourite cartoon characters whilst grown ups enjoyed it for the smattering of more adult humour it contained. It went on to win 4 Oscars, including ones for it’s sound effects and visual effects, that latter of which still look believable today (well, as believable as cartoon characters mingling with humans can). The film is based on the novel Who Censored Roger Rabbit, the story revolving around the titular Roger Rabbit and is set in 1947 Los Angeles. The premise is that cartoon characters (collectively known as Toons) are actually alive, and cartoons are filmed on sets in exactly the same way a film starring humans would be. Roger Rabbit is a slapstick comedy Toon star who ends up being framed for the murder of Marvin Acme, owner of the Acme company (presumably the place where Wile E. Coyote always got his gadgets from). The planted evidence against Roger shows his wife Jessica Rabbit (a beautiful human Toon) playing pattycake with Marvin, which to a Toon is considered as having an affair. Roger ends up recruiting Eddie Valiant, a human detective played by Bob Hoskins, to help clear his name. Eddie is a bit of a drunk and doesn’t much care for Toons after his brother was killed by an unknown Toon who dropped a piano on his head, but he ends up helping Roger out after he hides away in Eddie’s home. 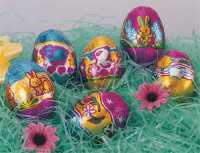 Yorkie Egg – I used to love Yorkie chocolate as a child due to it’s seemingly massive chunk size. The current advertising campaign for Yorkie is “Not for Girls”, but the bar as always been advertised in a similar manner. I remember the old TV adverts featuring an array of burly 18 Wheeler Truck drivers, who needed a big bar to keep them satisfied whilst driving their lorry across country. Stemming from the TV adverts came the idea of packaging the Yorkie Easter Egg as a big truck. The cardboard box was made in the shape of a truck, with the egg being hauled along on the back. Another year they took this a step further and made the cardboard box into a cement mixing lorry, with the egg being the big rotatey mixing chamber on the back. Cadbury’s Creme Eggs – These were originally launched in 1971, and are still a firm favourite today. To be honest I’m surprised they’ve been around for so long, as I wasn’t around in 1971 yet I seem to remember them being launched when I was little. 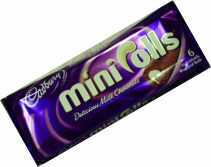 Obviously not, this fact came from Cadbury’s own website so it must be true.